Bleach box, multifunctional float box, fish float box, line box, main line box, fishing gear box, fishing line box, fishing gear, fishing supplies. Kimcheon fishing gear, Shen Wu, Jin Long Dragon, two generation fishing rod, pole pole, fish pole, fishing pole, hand pole, super hard fishing rod. 50 pay for finished products, beans, fishing hooks, hand-made binding lines, double hook sets, line group fishing gear. Yu Zhi Yuan sub box, thin three layers, lengthened official hanging box fishing gear, fish hook box, fishing gear, double line box, fishing accessories. 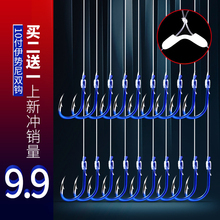 Campers, fish hook sets, sub thread, product line, double hook, and Ise Nizi bean fishing line.